An experienced senior management team leads the organization’s 246 staff members and approximately 250 volunteers who are involved in fundraising and program activities. The Board of Directors and staff are supported in their efforts by the CJR Advisory Council. 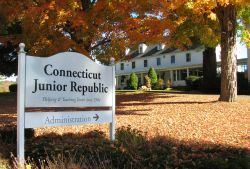 The Advisory Council is composed of former Board members and Board presidents, former presidents of the Litchfield Aid, and other individuals who believe in the work of the Junior Republic and wish to provide leadership by lending their name and support to the organization.